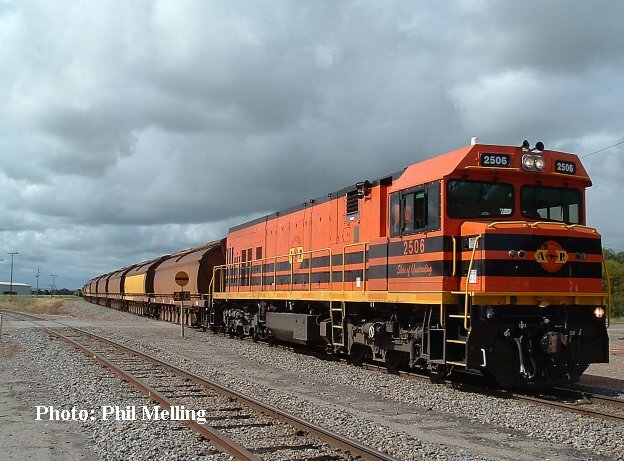 2506 (Ex P2006) arrives at Narngulu on a loaded coal train on 5 September 2004. 2506 is the second P class to be rebuilt and repainted into ARG colours. 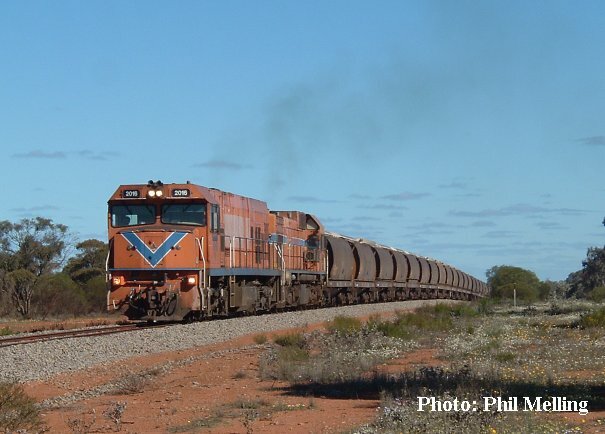 P2016/AB1531 haul a loaded grain train out of Narngulu heading for Geraldton Port on 22 August 2004. 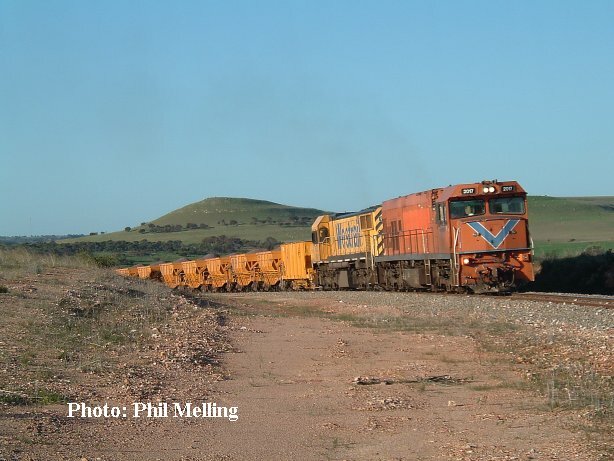 P2017/DA1573 haul a loaded iron ore train towards Geraldton on 25 July 2004. 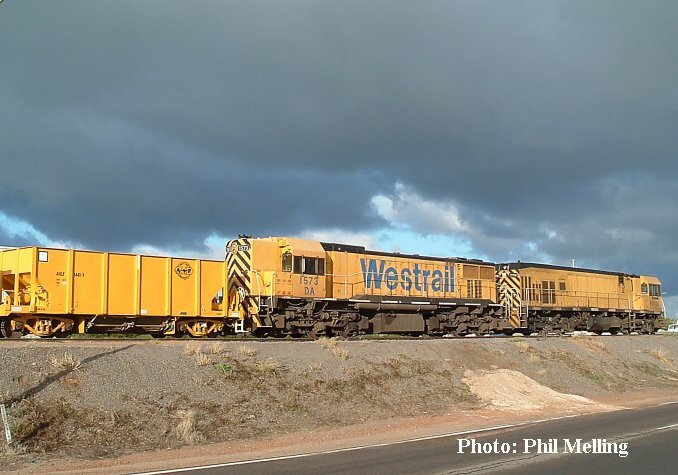 Under threatening skies P2008/DA1573 unload an iron ore train at Geraldton Port on 6 August 2004. Since this photo was taken a high fence makes this location not as good. 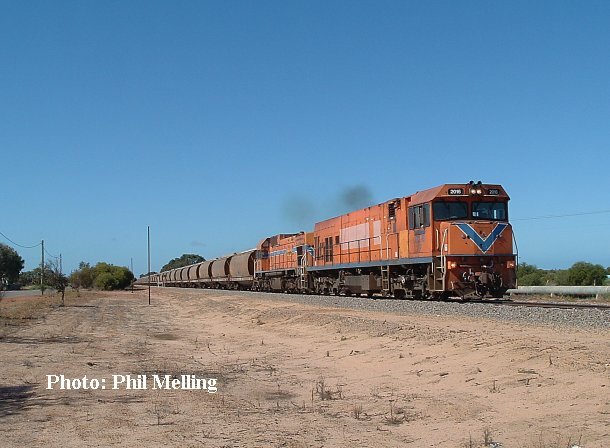 P2016/AB1531 haul a loaded grain train north out of Morawa on 29 August 2004.